Henry, Anna, and Jose head from Boston to Paris for their most dangerous mission yet: to solve the mystery of an international art heist Shortly after they arrive, they learn that a member of the Silver Jaguar Society is working as a double agent, passing information to the criminal gang the Serpentine Princes -- but who could it be? When the senior members of the Society go missing, it's up to Henry, Anna, Jose, and their smug new comrade, Hem, to mount a rescue while staying hot on the trail of a missing masterpiece. Running around -- and below -- a foreign city filled with doppelgangers, decoys, and deceit, the three sleuths discover they're the only hope for the Society's survival. 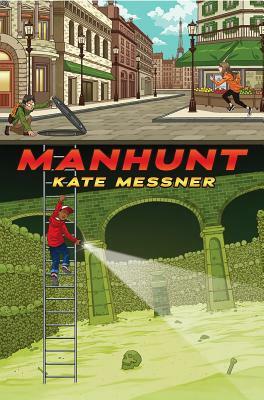 Kate Messner is the author of THE BRILLIANT FALL OF GIANNA Z., winner of the E.B. White Read Aloud Award for Older Readers; CAPTURE THE FLAG, an SCBWI Crystal Kite award winner; HIDE AND SEEK; SUGAR AND ICE; EYE OF THE STORM; SEA MONSTER'S FIRST DAY; OVER AND UNDER THE SNOW; and the Marty McGuire chapter book series. A former middle-school English teacher, Kate lives on Lake Champlain with her family and loves reading, walking in the woods, and traveling. Visit her online at www.katemessner.com.